Just off the shore of island Vis, very close to island Ravnik where we visited Green Cave, a small island called Budikovac is located. 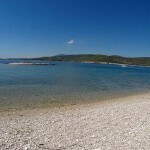 The central beach of Budikovac island is well protected by two small islands called “Sanak” and “Small Budikovac”. 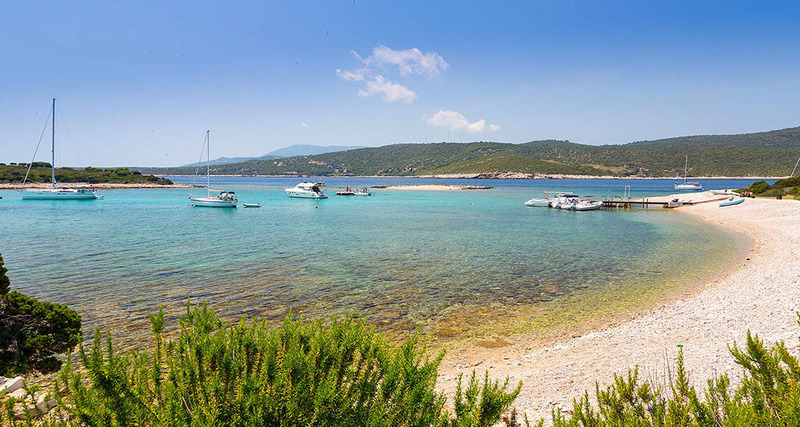 The beach and the islands together form a beautiful natural turquoise lagoon, a perfect place to swim, snorkel and enjoy in the summer activities. On the island itself there is one restaurant surrounded with a vegetable field and animal farm, and not a thing else. 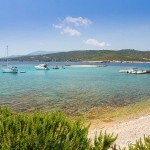 It is a perfect paradise on Earth for anyone looking for a peaceful spot to enjoy in. 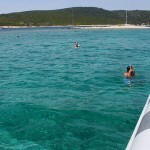 As the island is secluded from the popular tourist destinations it usually means that you will not find many people there. 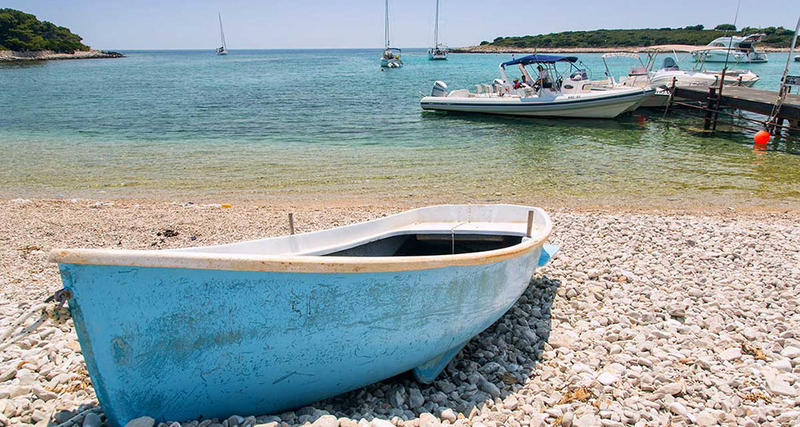 And mostly, we will only find a few boats moored in its peaceful lagoon. 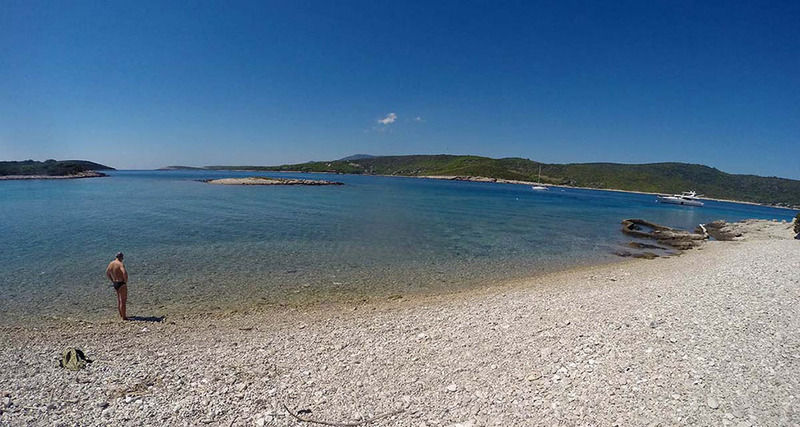 The central beach, which is covered in white pebbles, is almost always empty and calling you to relax on it, enjoying in the high summer sun. 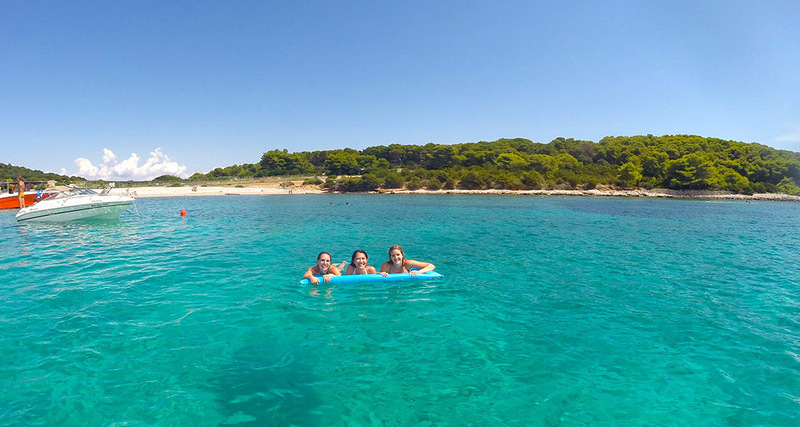 So why do we visit Budikovac island and its turquoise lagoon on our Blue Cave tour from Split? 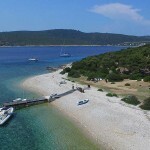 Majority of Croatian coastal cities, towns and villages along with their beaches are brimming with tourists from all over the world during the summer season. 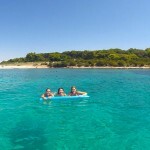 Since Croatia is primarily a summer vacation destination this is no surprise, and we like it that way. 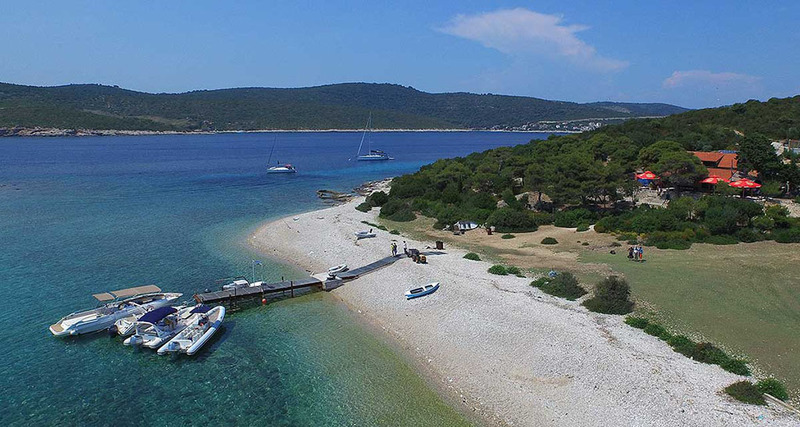 However there are still some hard to reach and hard to find places that offer a different perspective of Croatia where you can enjoy in peace and relaxation, far from any signs of civilization. For us, these are the special spots that we want to share with you as they offer a unique view of the majestic natural beauties that need to be seen and enjoyed in. The lagoon of Budikovac island is one such place and we have allocated half an hour of our tour in order to present it to you. The transparent clear sea of the shallow lagoon provides moments of ultimate relaxation and enjoyment as you glide through its peaceful surface. 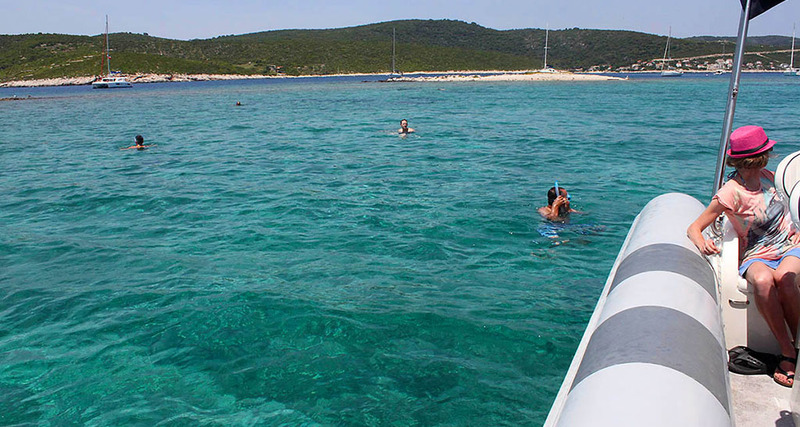 This is a great place to use the snorkeling gear we have on board and explore the marine life inside the lagoon. Besides fishes you can find different animals on the sea bottom like occasional sea urchins that provide ultimate proof that the sea inside the lagoon is extremely clean and healthy. The transparency of the sea makes it a perfect place to make underwater selfies or take photos of the sea animals around you so, if you have such equipment, be sure to have your underwater camera ready to make unforgettable photos of the scenery and the nature around you. If you had enough swimming and snorkeling on the tour so far you can get on the beach and enjoy in sun bathing while laying on the round pebbles underneath you. You can also take a short walk on the island and visit different animals that are raised on the island by the restaurant owner who calls Budikovac island his home. He is the only inhabitant of the island living there all year round. 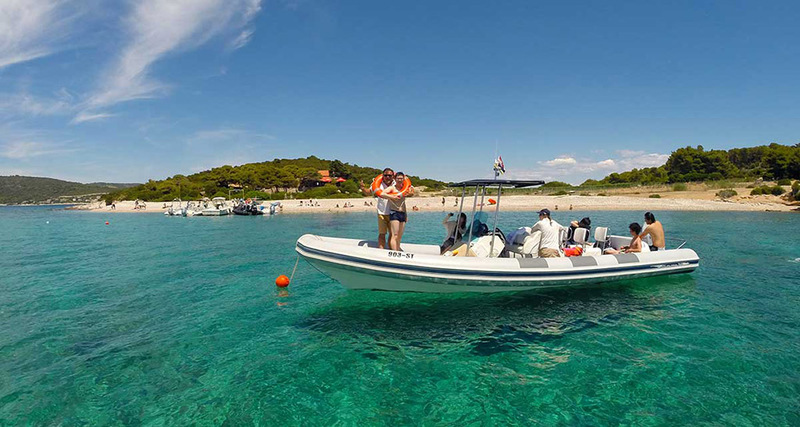 After approximately half an hour, which is enough to experience all the treasures of this distant island, we meet again on our speedboat and continue towards our next destination.